Art unlocks the imagination, compels us to think, and reveals and emphasizes non-negotiable as well as inconvenient truths. Works of art are acts of individual creative self-exploration and self-expression. They offer escape. They furnish entertainment. They speak to our passions and deepest yearnings. In addition, they convey a society’s shared experiences. They also reaffirm, often question, and sometimes repudiate its core values, beliefs, and practices. They at once record and seek to produce social change. The importance of the arts thus goes far beyond aesthetics. The Middle East and North Africa are bursting with artistic production in literature and the visual and performing arts. 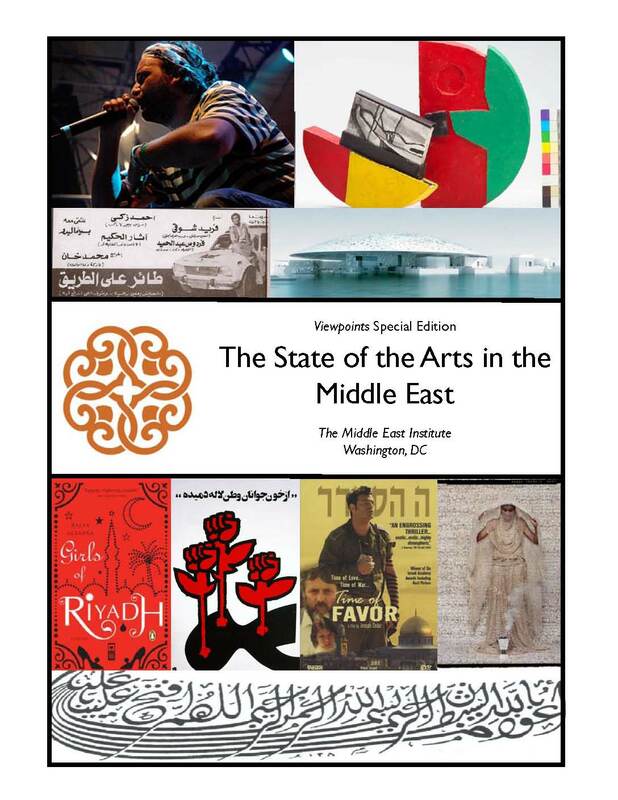 At a time when so much of the news about the region is focused on instability and violence, this special edition of the Middle East Institute’s (MEI) Viewpoints series on “The State of the Arts in the Middle East” surveys the landscape of creative artistic endeavors. The 17 short essays comprising this volume are intended as a sampling of the rich and diverse menu of artists and artistic products in the contemporary Middle East. Head of the Arabic Program	- Hunter College of the City University of New York.